The features on K’s car surpass those my own car possesses. Specifically, the built-in USB port allows my phone to synch with the car radio. When driving alone, I play my music and podcasts through the stereo system. 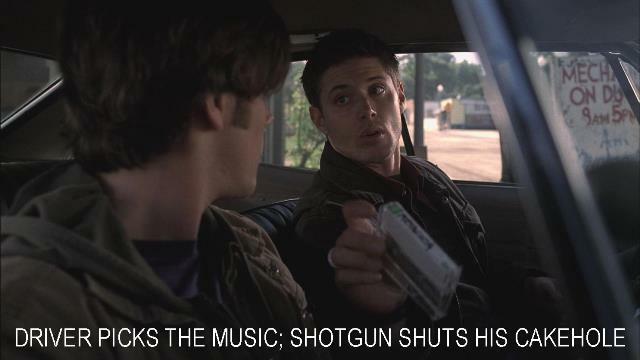 It’s the only time I can choose the soundtrack. K is a Supernatural fan, but this did not go over well when I tried it. I think it’s one of those things that only works in television or movies, not real life. You see, things don’t always work like they’re supposed to. Or rather, they work exactly like they’re supposed to. Either way, interesting things happen. Case in point: the Wednesday night pizza run. For K: bacon and pineapple, creamy garlic Parmesan sauce, pretzel crust, barbecue drizzle. 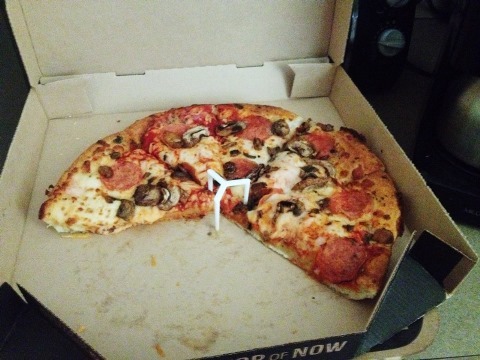 For me: pepperoni and mushroom, premium crushed tomato sauce, hut favorite crust. Yes, we ordered Pizza Hut. This is both supper tonight and lunch the next day. But my story has nothing to do with pizza, my story involves the sound system. There I was, happily listening to The Christian Humanist Podcast – “Exploring literature, philosophy, theology, and other things that human beings do well; taking the question at hand seriously and ourselves not at all.” – when the volume lowered and my phone kicked in. What demons have possessed you thus? And then the answer came: it wasn’t a fluke. 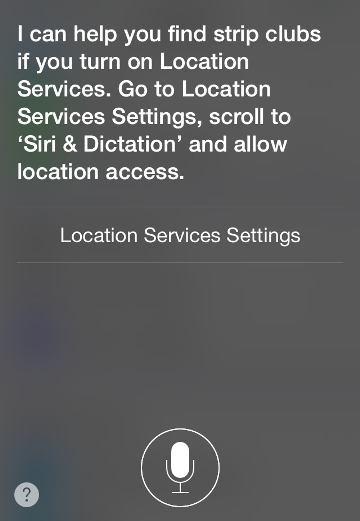 Everything worked exactly as it should – except Siri looking for strip clubs. 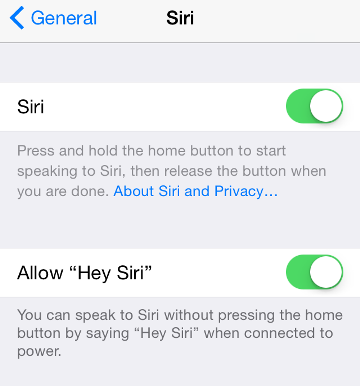 Earlier that day, while I updated my iPhone, I turned on the “Hey Siri” function. Siri, muffled by a sweater and two pizza boxes, recognized “Siri” in “seriously” and turned on; the next few words would have been garbled, so it made a good logical haphazard guess. Needless to say, I turned off “Hey Siri” as soon as I could. Have any Siri hilarity to share? Do so in the comments!